DeathSmiles is a horizontal shmup from bullet hell developer Cave. It's not my favorite Cave title by any stretch, but it does have a sizeable following due to its Christmas-in-Hell asethetic. 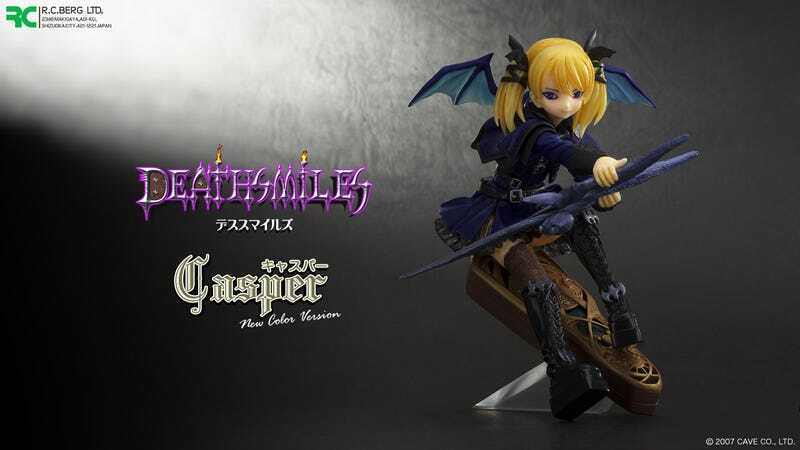 Plus, the game stars Gothic Lolitas, like batgirl Casper. People seem to like those. This figure was first released back in 2009, but the one you are currently looking at is the figure's latest color version. This 2012 model will be sold exclusively at the upcoming Wonder Festival later this month. It's priced at ¥14,700 (US$193). DeathSmiles was first released in Japanese arcades back in 2009. An Xbox 360 version followed in 2008, and an iOS version was released last year.